and all that forces to redefine actions to be taken. 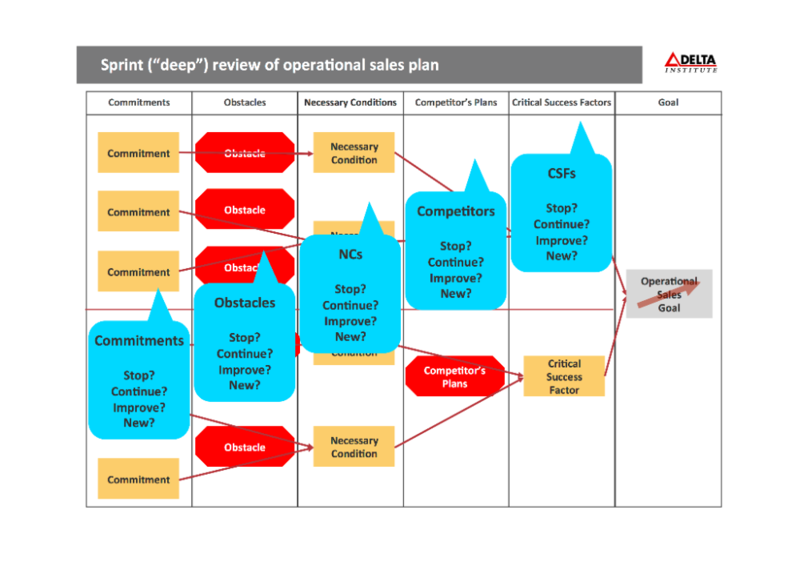 To cope with these changes you need to adopt an agile approach to operational sales leadership: design your operational sales plans for "operational sprints" with a duration of max. 3 months and review and adjust them after each sprint. Stop? Has the item become irrelevant, so we should delete it from our operational plan? Continue? Is it still valid, so we should continue to focus on it? Improve? Can we improve it to increase its contribution in our operational plan? New? Is there a new one to add? Members of the operational team who have not participated in a deep review will not consider the adjusted operational plan as part of their obligations. This has nasty consequences, especially in matrix organizations: if for example Region sales managers review their sales plans without product sales managers the result of the review is useless. 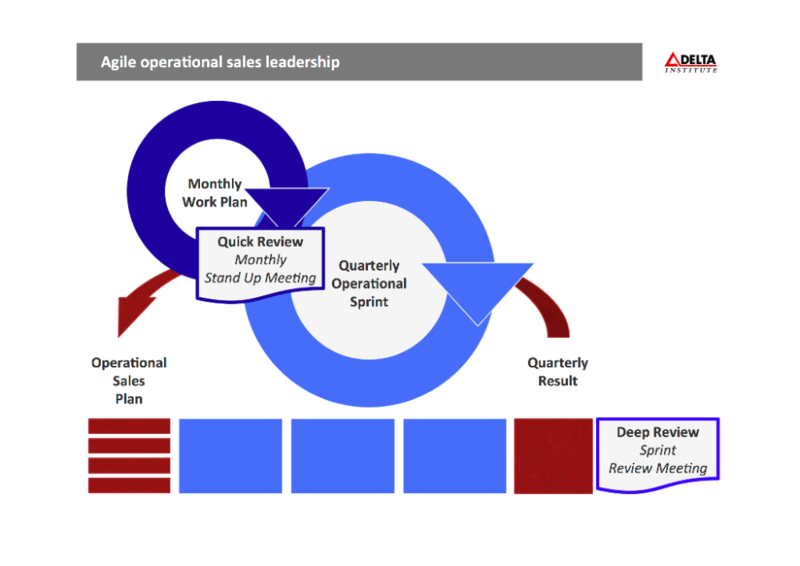 The entire team of the operational sales plan must attend the review meeting and contribute. You need a well planned events schedule for these reviews so that everyone can keep the dates free. 2. Conduct operational sprint reviews of units "bottom-up"
In sprint reviews you may also discover constraints which appear in several units in the same form. These you should assign to adequate higher levels in the organization. This is easy to do if you conduct sprint reviews "bottom-up" in the organization. As all top managers you suffer from time pressure. This may tempt you to not spend enough time for deep reviews. Deep reviews are hard mental work and even harder, if you need to search for a root cause constraint. Hip-shooting such analysis and decisions under time pressure is both frustrating for participants and in most cases results in useless decisions. Give your team and yourself sufficient time to do a good job in deep reviews. If your sales ecosystem already suffers from a constraint this may take 2 full days. (You have already more than saved this time by only spending 1 hour for each quick review).